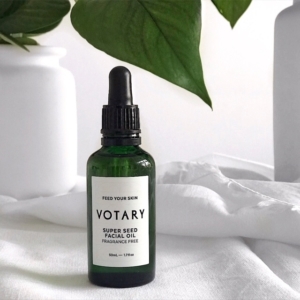 Votary is all about strong, healthy, hydrated skin. It’s as brilliant for skin that’s prepped for a shoot as it is for skin that’s exposed to extreme sport. Votary is a unisex brand, and I am especially proud of the demanding conditions that some of our #Votarists put our pure plant oils through. 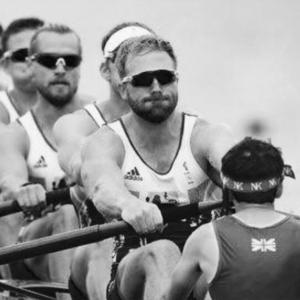 Will Satch MBE rows for the GB team. He was Olympic Champion at Rio 2016, has three World Championship titles and an Olympic Bronze from his debut at London 2012. He’s currently training hard for Tokyo 2020. Will’s daily routine is a big ask for skincare. He’s out on the water in all weathers, which means cold, chapping wind and rain, and significant UVA and UVB exposure. He has weights and erg sessions in the gym – which means lots of hot sweatiness – and multiple daily showers which can be dehydrating for skin. Votary pure plant oil skincare is perfect for Will’s skin’s needs. It nourishes and soothes any dryness, inflammation or sensitivity caused by exposure out on the water. It deep cleanses – removing all trace of the gym – without causing tightness. It keeps skin resilient, supple and comfortable and deeply hydrated. I’m really proud that Will is a #Votarist and that Votary takes care of his skin and keeps it healthy and strong. Here he is talking to me about his daily routines, the importance of good diet and sleep, and why Votary is an essential item in his kit bag…. How do you keep yourself healthy and strong for training? An Olympic athlete’s body is under constant stress and load. You’re battling deep fatigue and balancing the tightrope of illness and injury. Staying healthy and strong is vital especially through winter as this is when the bulk of our gruelling training is completed. Our health is our business, so therefore there are a lot of small things that add up to a lot. It’s all about marginal gains. Eight hours sleep a night, the correct diet, a well structured program, and coaches that you trust mean everything. What kinds of food do you eat to fuel your body? How important is natural, unprocessed food to you? As a rule of thumb I stay natural. I would describe an elite athlete’s diet as high octane aviation fuel and I’m always mindful that you wouldn’t put farmers’ pink diesel in a Ferrari. We ask a lot of our bodies, and the amount of calories that need to be consumed can make eating rather dull. I need about six thousand calories a day depending on my training load. It’s mainly made up of lean protein; I eat tons of fish and chicken, and then red meat maybe twice a week. I eat complex carbohydrates, and a lot of antioxidant-rich food such as goji berries and blueberries. What food couldn’t you do without? How do you relax after intense sessions in the gym or on the water? I am rather unorthodox for an athlete – I like to spend time with friends in the pub. It’s a nice place to switch off and shoot the breeze. I’m a warm weather surfer (not a very good one:)) and I spend summer holidays in or around water. I paddle board all year around – it’s a much more therapeutic way to spend time on the river. I also love walking my dog Nesbit. How do you safeguard getting the right amount of sleep that you need? I struggle with sleep and ‘switching off’ so this is my biggest issue. Not looking at social media into the early hours definitely helps, and although I’m horrendously slow, reading helps too. How do you manage your relationship with your phone and social media? I’ve got a very addictive personality. I give myself time restrictions which is now fairly easy on any smart phone. Used in the wrong way, social media can be a extremely poisonous thing. It’s important to be mindful that social media is not reality but also to recognise that it’s a great tool when travelling for keeping in touch with friends and loved ones. How much water do you drink every day, and how much focus do you place on hydration? I place a huge focus on hydration and drink gallons of water. Dehydration is a serious performance handicap that is easily fixed. Being out on the water in all the elements – and showering a lot – must be tough on your skin. How do you take care of it through the seasons and guard against it dehydrating? Natural plant oils are my go-to. I use Votary Super Seed facial oil every day, especially after training, and Super Seed Nutrient Cream at night. Rowers battle the elements daily – rain or shine – and being exposed to harsh weather has certainly taken its toll on my skin. Since I started using Votary it looks and feels so much better. What’s your favourite Votary product? Has to be the Super Seed Facial oil. It’s an everyday fix that always leaves my skin feeling hydrated and soothed. What’s your perfect weekend look like? Tough couple of sessions on the water on Saturday mornings which fill the blood with endorphins, followed by a late brunch because nothing beats bacon and eggs. Then, I’ll walk the dog to a local pub in the idyllic Thames valley and sit fireside. Depending on my mood I may then head up to London to get out of the bubble and see friends. Ideally we have Sunday off (this very rarely happens) but if it does, I’ll have a long lie-in and then go paddle boarding. Couldn’t get through the day without? There are two…ordering enough takeaway to feed a small family, and going to the spa … a lot! Make your bed. It just starts the day right. Two again… Gimme Shelter by the Rolling Stones and The Bucket by Kings of Leon – takes me right back! ‘This is going to hurt’ by Adam Kay. 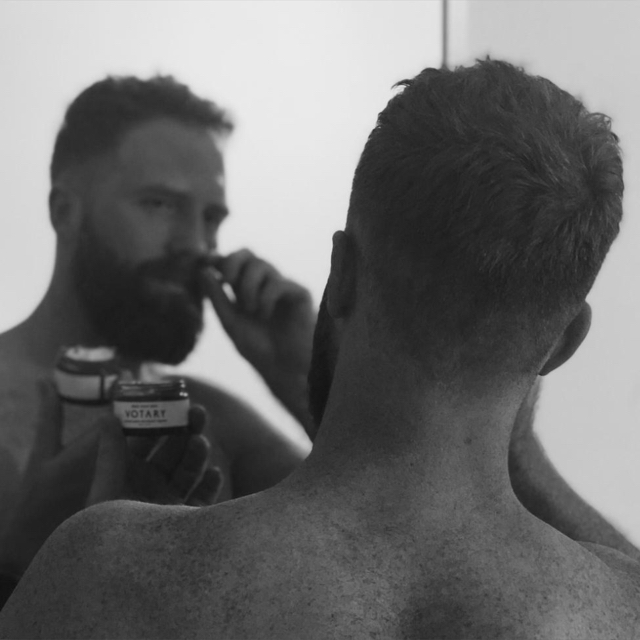 Stop shaving in Craig David beard lines and always use facial oil after a shower. Thank you Will. It’s great to have some insight into your daily life. Thank you for being such a brilliant #Votarist. Team Votary have everything crossed that we’ll be applauding you on the podium at Tokyo 2020. Read more about the GB rowing team here.